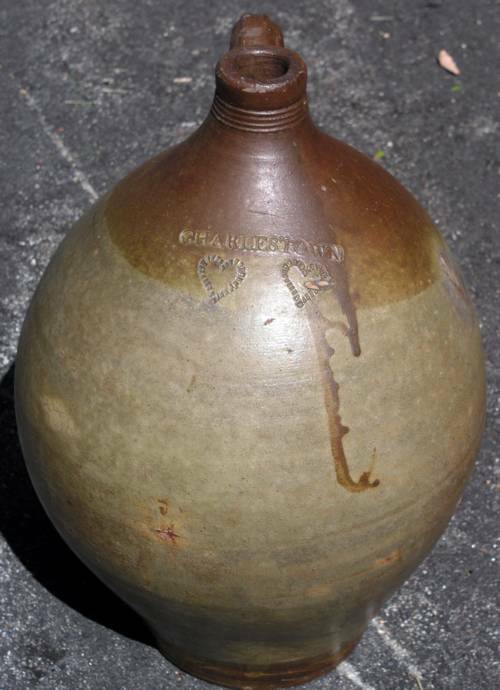 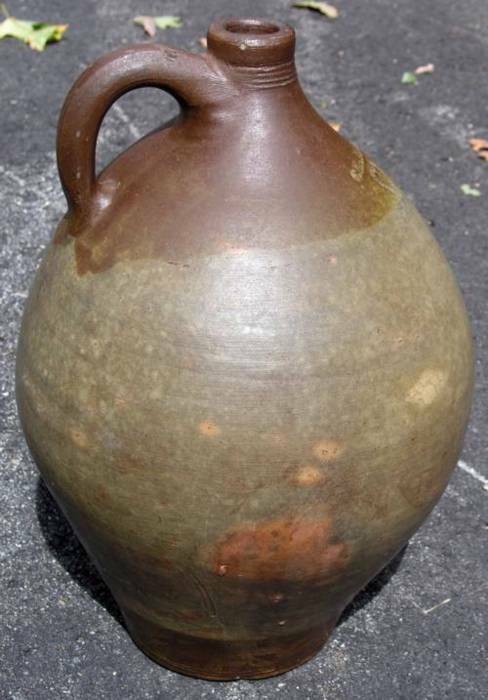 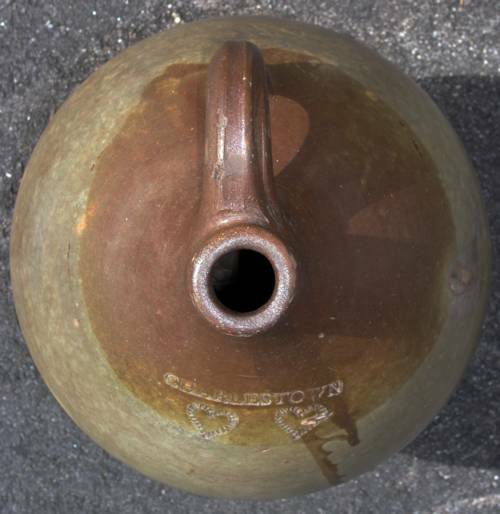 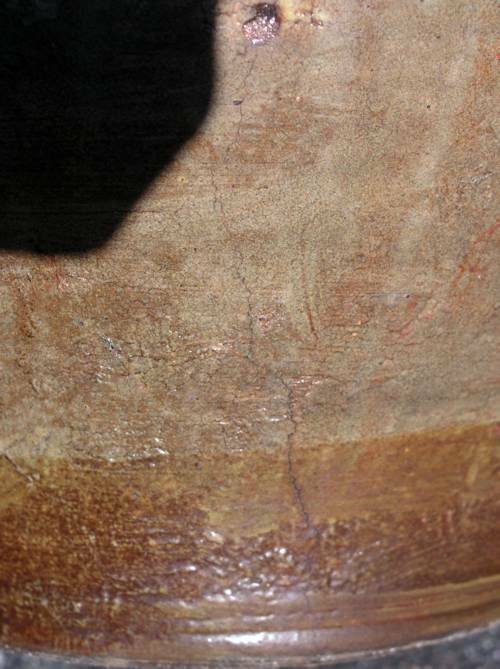 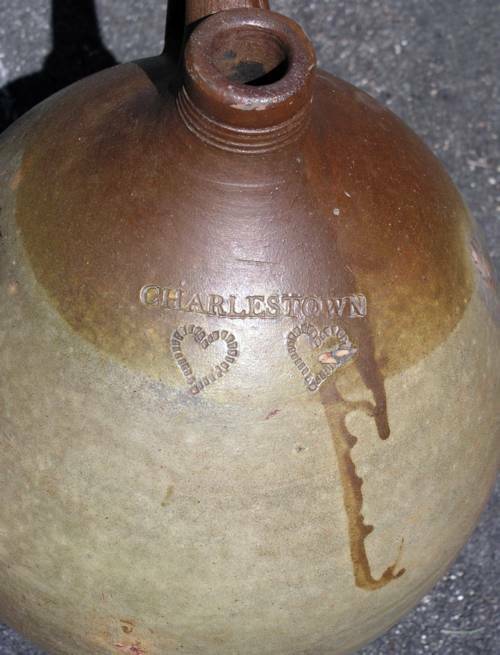 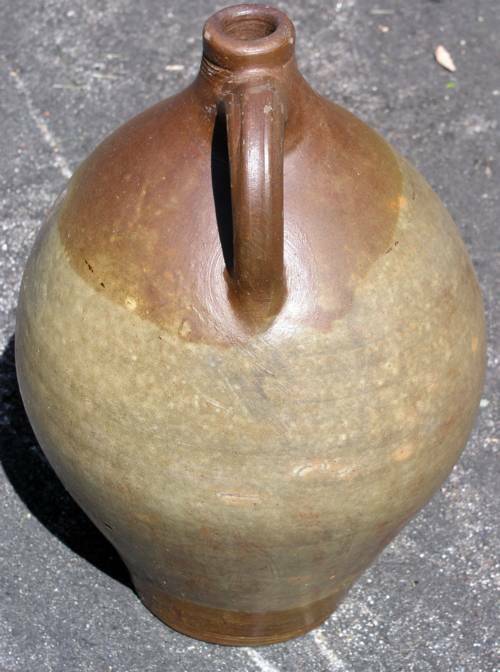 2 Gallon Charlestown double dipped stoneware jug with 2 impressed or stamped heart gallon designation marks. 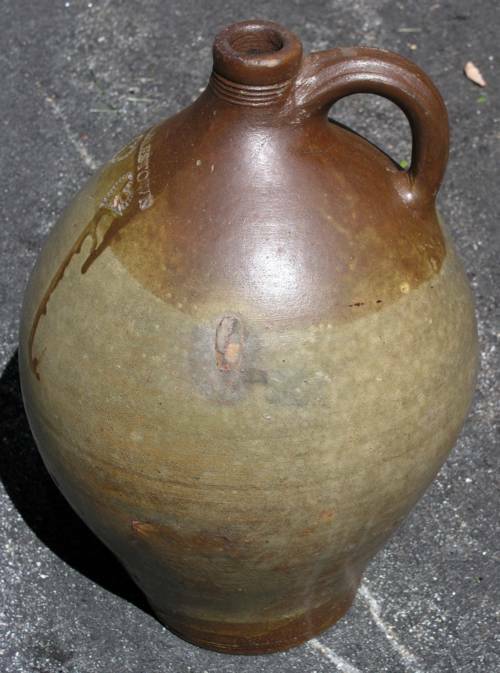 Wonderful original condition with a few minor stone pops and a tight insugnificant line at the backside that is not an issue. 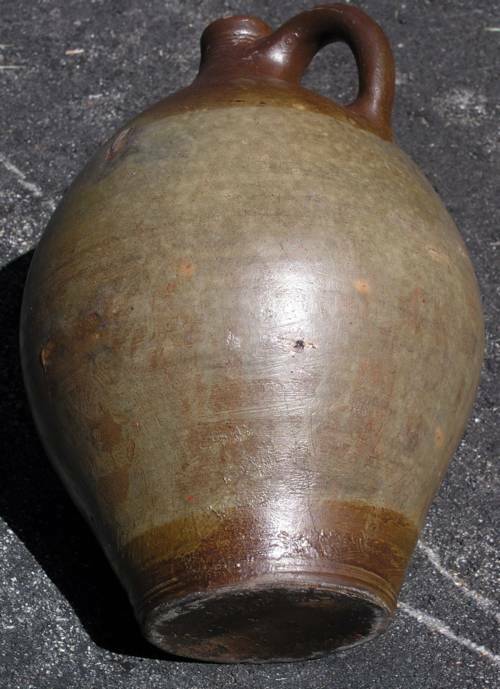 Dimensions: Measures overall 14.5" tall.